Nissan reported a massive 335% increase in sales of its hatchback electric car LEAF in U.S since the launch of the 2013 model in Mar 2013. 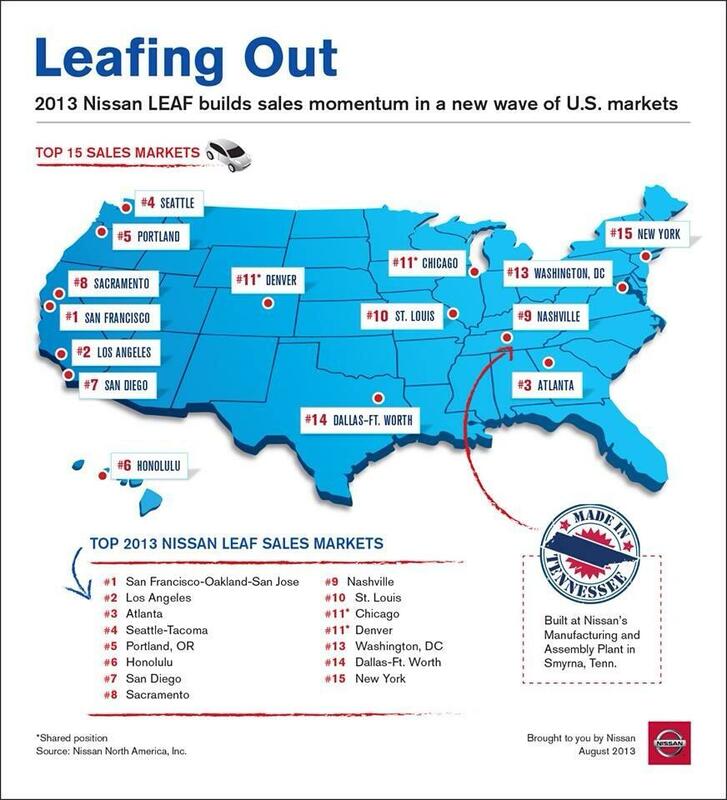 LEAF has been Nissan's bestselling car in Seattle, Portland and San Francisco. Alongside, the company also witnessed burgeoning demand for electric vehicles outside the traditional West Coast market, i.e., in "New Wave" markets across the country. Nissan expects incremental demand for electric vehicles in diverse markets and LEAF is expected to dominate the market share. With more than 75,000 LEAF electric cars on the road, Nissan emerged as the global leader in zero emission vehicles. Nissan has witnessed 8.5% year-on-year growth in sales so far this year. The increase was driven by record-breaking U.S. monthly sales in 4 out of 7 months. The biggest contribution came from year-over-year increase in the sales of Nissan LEAF and a surge in the sales of the redesigned Pathfinder SUV. 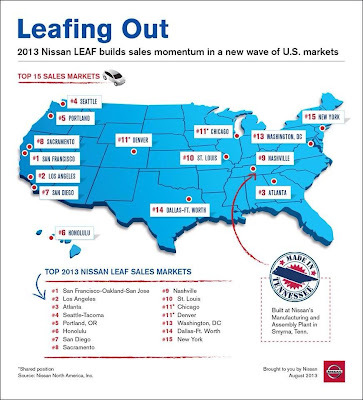 Apart from the U.S., Nissan is also doing well in other parts of America. The company witnessed 7.5% sales growth in Mexico in the first seven months of 2013. Moreover, it plans to open new manufacturing facilities in Aguascalientes, Mexico and Resende, Brazil.